The 14th annual meeting of the Intergovernmental Committee for the Safeguarding of the Intangible Cultural Heritage will take place from 9 to 14 December 2019 in Bogotб. 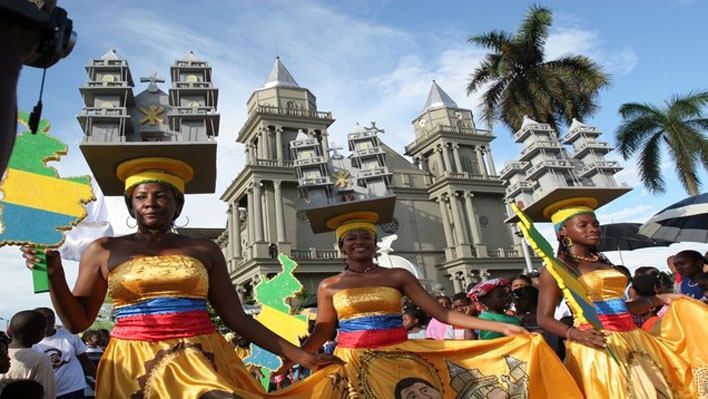 The Colombian capital will thus be the first city in the Latin America and Caribbean States to host the Committee. This decision was taken today, at the end of the 13th session of the Committee that opened in Port Louis on 25 November. During this session, the Committee inscribed seven elements on the List of Intangible Cultural Heritage in Need of Urgent Safeguarding and 31 elements on the Representative List of the Intangible Cultural Heritage of Humanity. Traditional Korean wrestling was among the elements added to the Representative List on a joint proposal by the Democratic People's Republic of Korea and the Republic of Korea. The Committee also selected the Land of Legends programme, proposed by Sweden, for inclusion in the Register of Good Safeguarding Practices, which allows States and communities to share safeguarding experiences that can serve as a source of inspiration for others. The List of Intangible Cultural Heritage in Need of Urgent Safeguarding, which now includes a total of 59 elements in 32 countries, aims to enable States to mobilize the international cooperation and assistance necessary to ensure the transmission of inscribed cultural practices with the participation of communities. The Representative List of the Intangible Cultural Heritage of Humanity, composed of expressions that demonstrate the diversity of intangible heritage and raise awareness of its importance, now numbers 430 elements inscribed in 117 countries. At the Committee's meeting, UNESCO launched the platform Dive into intangible cultural heritage!, an interactive space that allows people to find out about cultural heritage practices and living expressions from all over the world. Composed of representatives of 24 States Parties to the UNESCO Convention for the Safeguarding of the Intangible Cultural Heritage, the Committee takes measures for the safeguarding of the oral traditions and expressions, performing arts, social practices, festive rituals and events, knowledge and practices concerning nature and the universe, and skills related to traditional craftsmanship, which make up intangible cultural heritage.